Back in Moscow for part two of the Russian adventure! I arrived back in the motherland on Monday, and promptly fell ill. I therefore apologise for the lack of post yesterday, but running was totally and completely out of the question. Instead, I saved all of my energy for sightseeing with my awesome Danish visitor, Sophie. 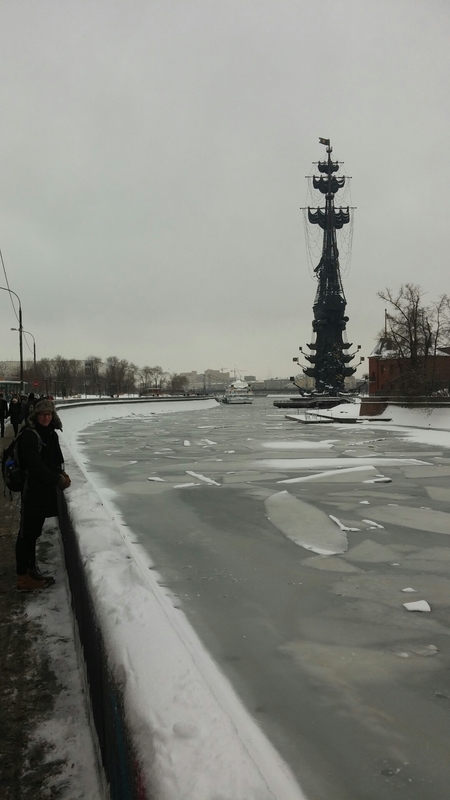 We used her short visit to see some of the touristy and some of the not so touristy regions in the heart of Moscow, including the Bolshoi theatre, Gorky Park in the snow, and the Novodevichy Convent that looks like a fortress or castle. We walked endlessly in the snow, and warmed ourselves up with hot chocolates in various cafes. It was great having her here because I needed a reason to get up and about again- after going home for so long I had developed an attitude of “been there done that”, which encouraged me to curl up and stay in bed, especially when my cold hit. Showing her bits of Moscow and exploring new things like the Bolshoi reminded me that I’m far from seeing everything in this big city. It also showed me how different everything looks with a bit of snow! While I’ll post more extensive posts on these topics later, I just wanted to give you all an update from frosty Moscow: I’m here, I’m ill, but otherwise cheerful and quite excited to be back!